Get a price list of our variable frequency drive and related accessories for your applications now. 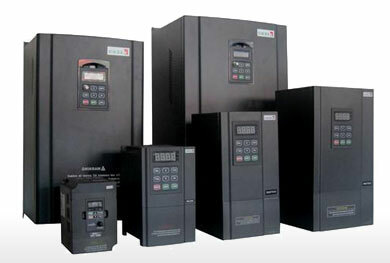 Variable frequency drive also called frequency inverter, AC drive etc. It is an electric device to change utility power source to variable frequency to control AC motor in variable speed operation. There are several ways to define a VFD. Base on main circuit working methods, it can be divided into voltage type VFD and current VFD; Base on switching methods, it can be divided into PAM control drive, PWM control drive and high carrier frequency PWM control drive; Base on working principle, it can be divided into V/F control VFD, slip frequency control and vector control VFD, etc. ; Base on usage, it can be divided into general-purpose VFD, high-performance dedicated VFD, High-frequency VFD, single phase VFD and three-phase variable frequency drive. What's a VFD consist of? Generally, variable frequency drive contains two components: rectifier and inverter. The rectifier converts incoming AC power to DC power, then the inverter converts DC power to the desired frequency AC power. In addition to these two parts, variable frequency drive may also contain transformer and battery. Wherein the transformer changes the voltage and isolates input/output circuit, the battery compensates energy loss inside the VFD drive circuit. Some specially designed motors meant for use with VFDs are designed to operate at higher than normal speeds at frequencies above 60 hertz. 1. Was the motor or the load it drives designed to operate at these increased speeds? Many motors and devices were not mechanically balanced to operate at increased speeds and will create vibration, mechanical and safety problems. 2. VFDs are not capable of increasing voltage so as frequency increases above 60 hertz, the torque produced starts to decrease. In order to maintain a constant horsepower output to drive our load, if speed is increased, torque must decrease. None of the overhead hoist and crane manufacturers, service and sales companies, out of the more than 1,500 we deal with directly, are using other than asynchronous motors. When we discuss the 90% efficiency achievable via the use of variable frequency drives (VFD), it's not optimistic, it's factual. Is it always the case? Maybe not, but in reality these efficiency figures have reached 94%. 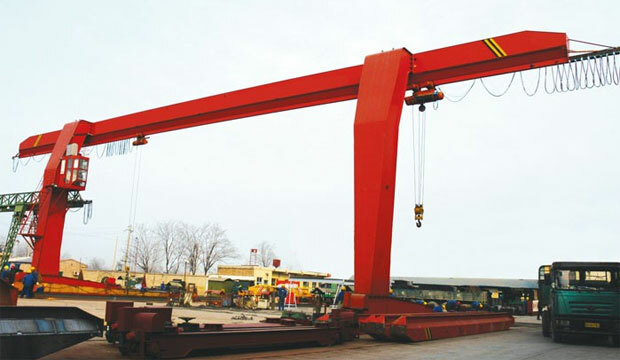 As regards the continuing usage of asynchronous motors in Overhead Hoist and Crane applications, if there is a manufacturer using anything other than that, with the exception of consequential pole motors, I am in touch with many and as yet that roster remains, to the most current information I have available, empty. 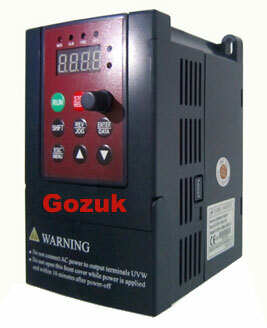 Both AC and DC machines starting on variable frequency drives do not have a maximum number of start attempts over the life of the machine provided the variable frequency drive programming and protection mechanisms limits the amount of current drawn during the transient period to a reasonable (below 1.25 per unit) value. Actually, there's a limit to how much the DRIVE can handle, and then there's a limit to what the dynamic braking resistor can handle. Generally, the manufacturer is going to size the DB resistor under what the VFD can take in continuously. Here I'll have to defer to the various VFD manufacturers. For your application where you need to test the VFD under full load current simply to verify that you've repaired it correctly, a motor running on commercial power is going to be your best bet. Can your VFD do "catch-on-the-fly"? The easiest thing to do is to couple an identically rated motor to the motor connected to your VFD. Start the second motor with a normal motor starter, ie soft starter, and then start your VFD in "catch-on-the-fly" mode at full rated speed. Slowly turn UP the VFD frequency reference ABOVE line frequency, monitoring the current draw, until you reach full-rated current. The motor being run from the starter will be regenerating power to the utility by operating above synchronous speed. If you try to run the VFD motor BELOW line frequency, it will regenerate power into the VFD and most probably cause it to trip due to high DC bus voltage. VFD for fan application, V/Hz control or vector control? V/Hz was the original methodology developed by VFD manufacturers. One of the weaknesses in V/Hz is starting torque and lack of control. Vector type methodology was developed in the 80s to give better control at lower frequencies but could not go to 0 speed. Therefore a third methodology, Field Control, was developed that can give full torque at 0 speed. Servo motor operation is affected by Standard VFD carrier frequency. Special Spindle drive is available from CNC drives manufacturers which does not affect servo operation. Standard Squirrel cage induction motor with VFD is used for infinite speed variation for spindle application. However it must be remembered that Motor can be used from 10% of rated speed onward for better cooling. Motor will deliver constant torque/variable HP up to rated speed and constant HP/variable reducing torque above rated speed. Motor speed above rated speed is limited by bearing design of motor. Why VFD Controlled spindle motor bearings damage? As an electrical person I can say that I have seen these problems and helped with wiring. The VFD (variable frequency drive) capacitive couples electricity to 'where it wants to go'. It wants to get back to the VFD. Here is best practice: Shielded motor cable tied to frame with 360-degree bonds at both motor and VFD, uninterrupted. (VFD, not cabinet). This shows how complex a VFD can be if you do not understand the Inverter process. Several questions have to be answered before determining what could be possible causes for motor overheating. What load is the motor running at with the low frequency? Do you have VFD drive curves that show how the drive reacts to differing loads at low frequency? Do you have access to the firmware control diagrams that shows how the fault is generated? A motor is also a heater and requires cooling. If run at low speeds for too long it will overheat. The low range of operation in a VFD is really only to provide a soft start when/if needed. If you are running a motor at 20% a lot, it's too big for the job. Use two smaller ones to provide a wider range of operation. How to address this depends upon your process. Some VFD vendors have dedicated simulation software available which can help get right solution with above mentioned inputs. Simulation Software can also show the voltage spike trends at drive output and motor input to make sure that motor is safe with the solution voltage spikes are below motor CIV value all time. 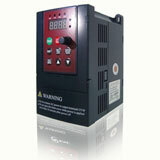 Some VFD Manufacturers have a function called "Motor Pre-heat function" that can be enabled via a couple of parameters. This function produces a low level DC Current (actually AC at 0 Hz) that heats up the motor windings to prevent condensation, while motor is de-energized/at rest, which is the same function of motor space heaters. If the motor is not sized properly, ie over-sized as they often are, then a VFD will offer savings even at fixed speed and load ie A motor running under loaded will be inefficient regardless of its rated efficiency and this can be corrected by use of a VFD (or a better motor sizing). I have a 50 HP drive suitable for variable torque application. Can I use the same drive for a 50HP load, but on a constant torque application? Or do I need to up size or downsize these drives? What is the turndown ratio I need to calculate and how will I get it? If it is a centrifugal compressor with consistent gas density (mole weight), the load is quadratic and you can size the variable frequency drive based on the motor hp (as long as you don't require over-speed, which needs more detailed review). Variable frequency drive comes in a lead role for energy saving products for the all industries using electrical motors. Main function of VFD is to vary the speed of the AC motor as per requirement and for some application provide high torque. 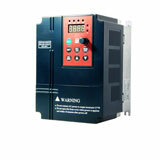 But main problem come with all VFD drives is harmonics, industries which are using large no. of VFDs and other power electronics devises face too much problem of harmonics. If you are selecting a VFD for a squared torque application, then you could select a lightly duty variable frequency drive. But remember you are then not supposed to increase the speed beyond the designed fan/motor speed. Most drives in the market adapt well to these queries, but there are a few that can be easily integrated with the application at hand, or that provide feature X or Y that put them above the others... Gotta research carefully as some VFD brands will overprice their system precisely for that reason "selling the brand rather than the product" while other brands can do the same task. Few manufacturers make a VFD with simple programming. It is easy to code in a so much application specific capabilities in the chips coming out now. So much room with little cost you may as well fill it up! What is the Difference Between SERVO Drives & VFDs? A VFD (variable frequency drive) is generally used to control a squirrel cage type motor, where both stator and rotor are of a wound type to create the magnetic flux. Servo drives are used to control permanent magnet motors. Permanent magnet motor because they use rare earth magnets in the rotor, create a much higher magnetic flux for their given size. This enables the motor to be able to create more torque in a much smaller rotor and hence motor size. Giving the motor a lower inertia to accelerate and decelerate much more dynamically than that of the asynchronous squirrel cage type motor. What causes shaft currents in VFD driven motor? There are about 6 different causes of shaft currents in Variable Frequency Drive driven motors. I can't remember them all but some are:- high DV/Dt, phase unbalance - shift in theoretical neutral point (poor inverter and lack of filtering), capacitive coupling. Many manufacturers recommend insulating the non-drive end bearing and installing carbon brush on the drive-end. VFD (variable frequency drive) technology enables centrifugal machines to operate at off design conditions at 0.50, 0.40 and even at 0.30 kW/ton. As the cooling load decreases, the VFD decreases its output voltage/ frequency, slowing chiller. The result the chiller operates at near full load efficiency for almost the entire operating range and allows the chiller to operate as low as 10% of rated output without experiencing surging. Currently, most of the oil pump, water pump and air compressor at a constant speed motor drive state, as will account for an absolute majority of the non-governor speed motor into operation, its power consumption varies with the load size, you can save a lot of energy, will produce significant energy-saving effect. Modern power electronics technology, the development of AC variable speed AC Motor Variable Speed huge leap in the frequency range, dynamic response and accuracy requirements, and use effects.